Sponsor a golf hole at the 2012 Convention. Registration rate for an couple with a company who is not a member of RSMCA. Registration rate for an individual with a company who is not a member of RSMCA. 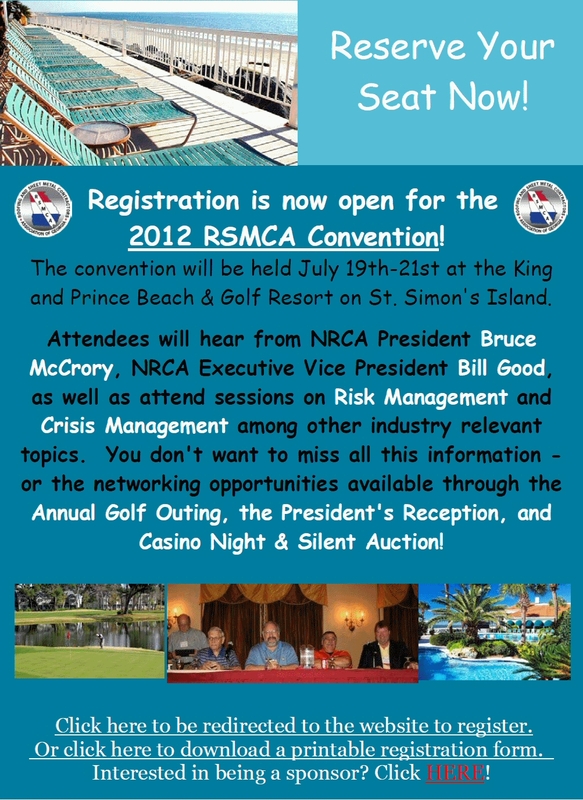 Registration for an individual of a RSMCA member company. and Prince Beach & Golf Resort in St. Simons Island, Georgia. 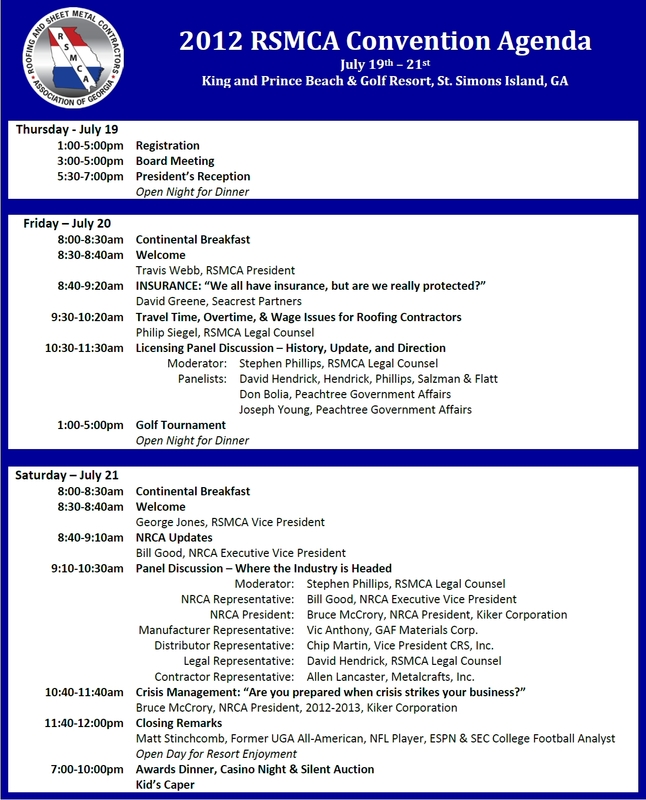 Download a printable version of the 2012 RSMCA Convention Agenda here. Download a printable version of the registration form here. To download a sponsor form please click here.